From Freedom Studios, the producers of the acclaimed Brief Encounters at Bradford Interchange and When We Were Brothers comes Black Teeth and a Brilliant Smile, award-winning screenwriter Lisa Holdsworth’s new stage adaptation of Adelle Stripe’s compelling novel which recounts the brief and defiant life of the celebrated playwright Andrea Dunbar. The Beacon, Buttershaw, Bradford, 1990. Andrea Dunbar, acclaimed writer of Rita, Sue, and Bob Too, mum, sister, best friend, is struggling with her latest work. Her aching head is full of voices, stories from her past which have to be heard. 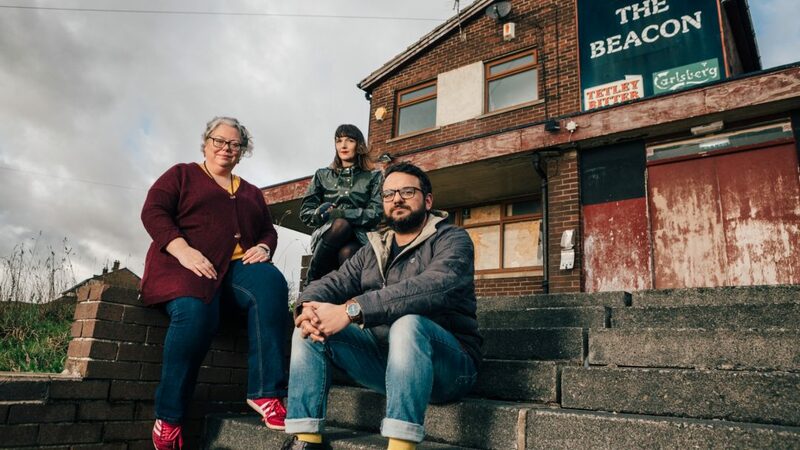 Adapted for the stage by Screenwriter Lisa Holdsworth (Ackley Bridge, Waterloo Road and Call the Midwife) Black Teeth and a Brilliant Smile, will open at The Ambassador in Bradford from the 30 May-8 June and then tour until the 27 June. Black Teeth and a Brilliant Smile is directed by Kash Arshad (Airplays, Leeds Playhouse and BBC) and designed by Hannah Sibai (When We Were Brothers, Freedom Studios). Casting will be announced in the coming months. Black Teeth and a Brilliant Smile will tour from the 30 May – 27 June 2019 including performances at Cast, Doncaster and Oldham Coliseum. More venues will be confirmed in the coming months. To book tickets and for more information on Black Teeth and a Brilliant Smile and Freedom Studios click here.